Ohhhh hiiii. It has been a whirlwind past few weeks due to moving. I feel terrible because I haven’t been able to give the blog and writing the love it most certainly deserves. For now, there’s cookies though. And cookies are always the answer when you don’t even know what the question is. 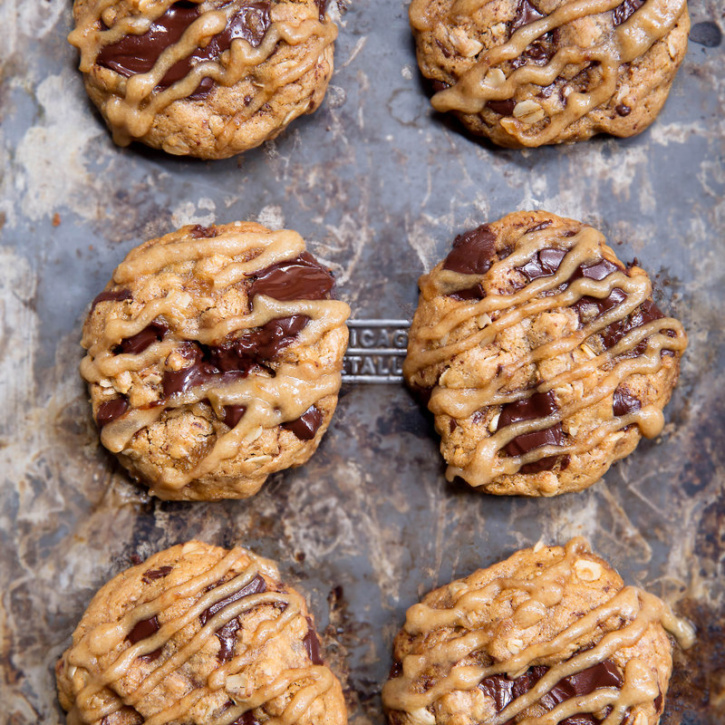 Especially cookies loaded with dark chocolate, oats, coconut flavor and a SALTED DATE CARAMEL. Holy love of my life. 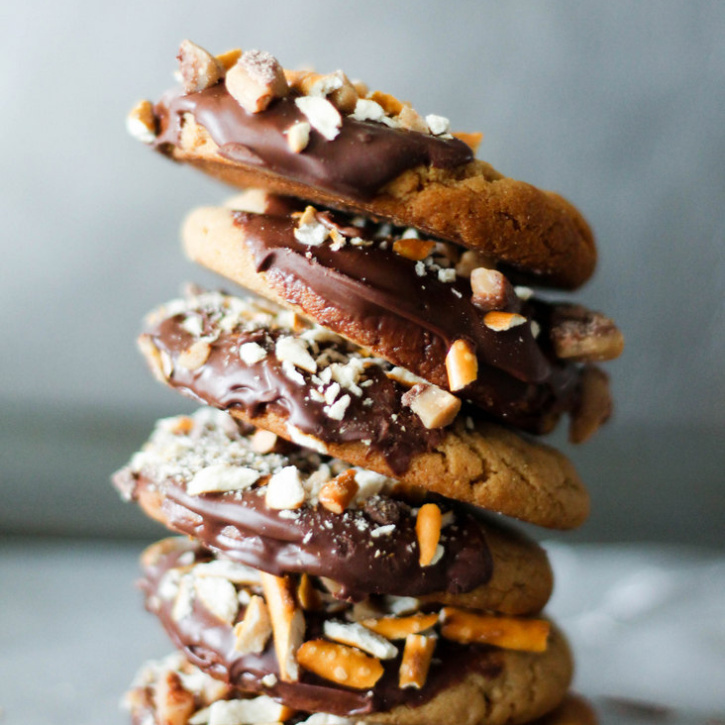 I can’t really explain to you how much I love cookies. It’s just this feeling that exists deep inside my soul. 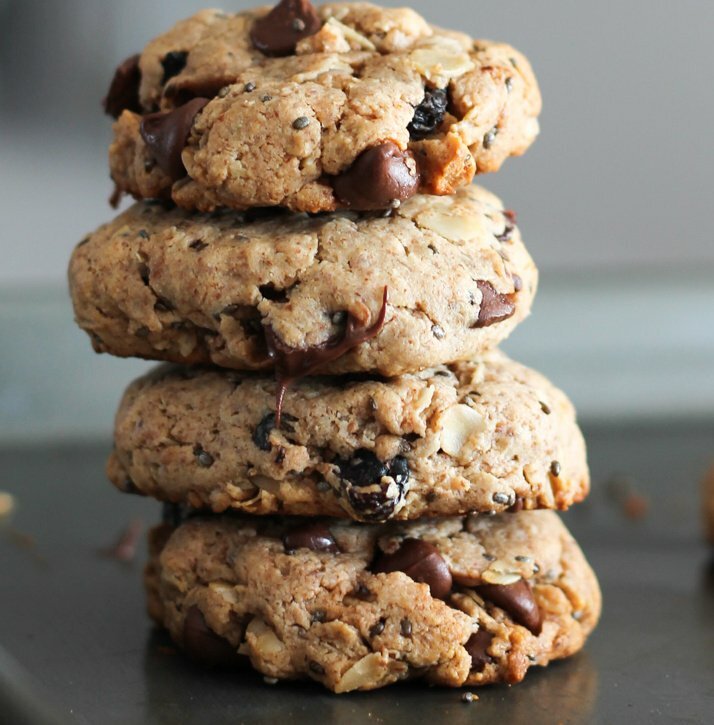 Wouldn’t you agree that a good chocolate chip cookie recipe is all you really need sometimes? It solves a crisis, cures a bad day and certainly warms your house with a golden, sweet chocolate aroma like no other. 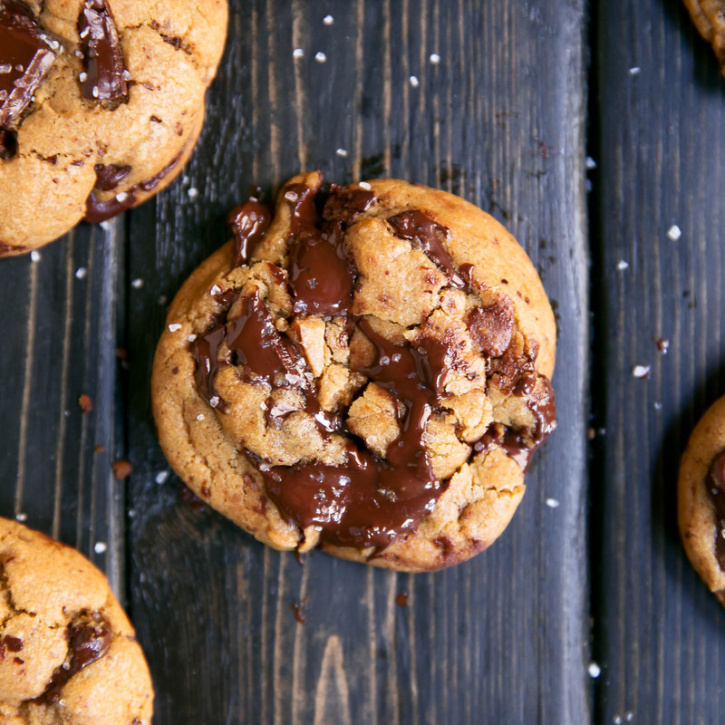 Really though, how would you describe the smell of a chocolate chip cookie baking? I can’t. My only thoughts are that I’d like to bottle it up and inhale the sweetness whenever it’s deemed necessary. 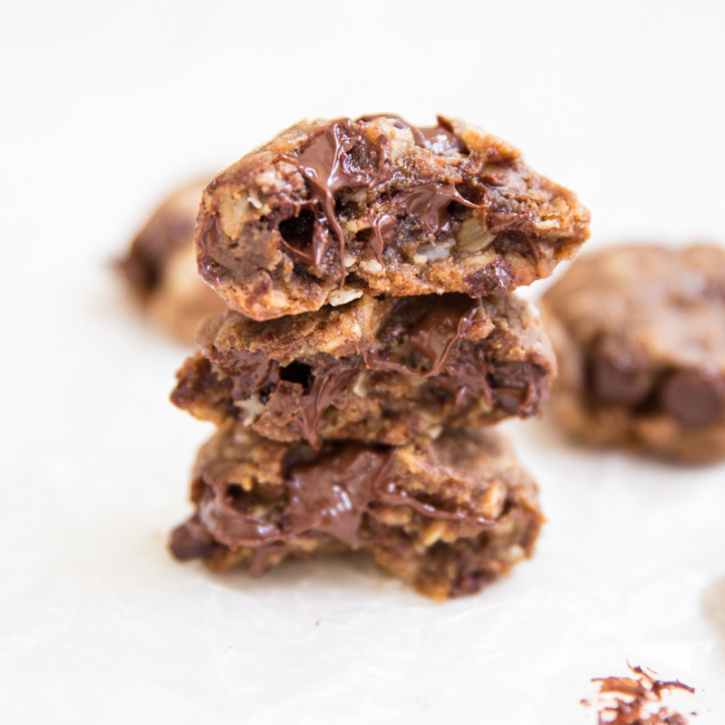 Today, I’m giving you a recipe for cookies made with real, simple, natural HEALTHY ingredients. SO many basic adjectives, so much cookie goodness. This is for all of my nutella lovers; I know who you are. Well not exactly, but I do know what it’s like to have a nut butter obsession. The kind that makes it difficult to buy a jar because you can’t stop at one spoonful, or two, or even four. I need a NBSG (nut butter support group). Hellooooo Friday! I drove to Minnesota from Chicago on Wednesday and let me tell you that is absolutely not a pleasant 7 hour drive. I kept myself occupied by listening to the Invisibilia podcast and munching on those awesome Sabra hummus and pretzel cups plus my favorite Quest bar. I’ll be in Minnesota the rest of the weekend catching up with family and friends, plus doing the whole Easter brunch thing. As a kid, Easter used to be one of my favorite holidays. Most likely because I loved all the chocolate bunnies and sweet things. I think my Mom got me an Easter basket each year until I was about 16… until the year she didn’t and I threw a complete fit. As in, I literally searched the entire house looking for my Easter basket because I thought she was kidding when she said she didn’t get me one. It was such a special tradition to me and OMG how I used to love JellyBelly beans and Reese’s eggs. Mom… still waiting for my Easter basket… you’ve still got time! HINT. Read more. So I’m back from my fabulous trip to the Bahamas, St. Thomas and St. Maarten and ready to push cookies in your face. You get me, right? I promise to chat about all the details of my trip soon. It’s been a little hard to adjust to being back home. 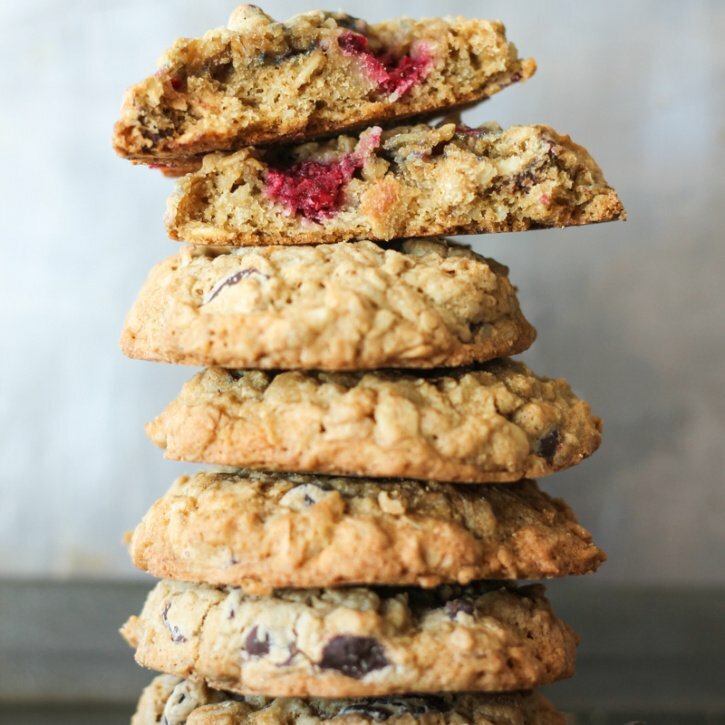 Vacation blues means cookies are a necessity, right? How was your weekend? Mine was full of good eats and lots of time with Tony; it was his last weekend back home before he heads out for spring training down in Arizona. I’m amazed at how fast the off season has gone. It feels like I just moved to Chicago, but I’m so happy that it feels like home. Yesterday we spent the day with his family hanging out and watching LOTS of TV like Nascar (don’t ask) and the Oscars. I love parties because I’m always able to bake or cook a few things that I personally want to eat myself… oops. 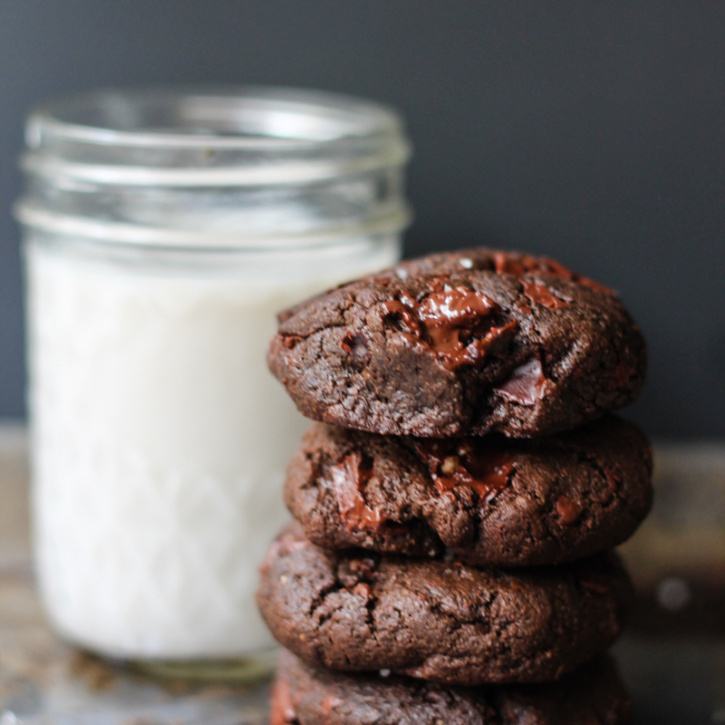 Lately I’ve been pretty much in love with dipping cookies in chocolate. Or maybe just chocolate in general. Hello, hello! Hopefully I’m not too late in delivering you my favorite Christmas cookies! 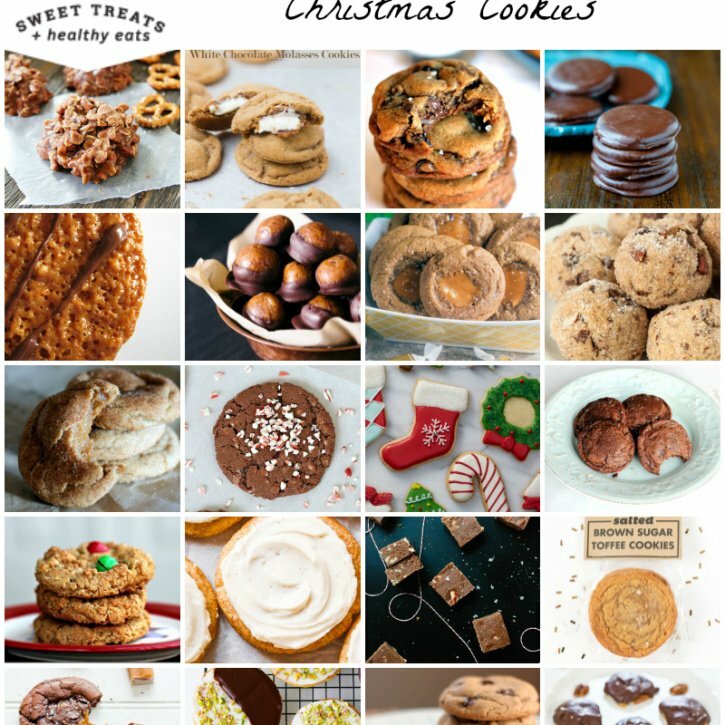 It seems like many of us are scrambling to figure out what we’ll bake for holiday parties this week so I hand-picked some of my favorites from around the web. I know I’ll be baking a few batches for this weekend and hope you get a chance, too. Do you love sugar cookies? I do. Except I’m more of a fan of the soft version from the store. You know the kind that’s loaded with thick frosting and simply melts in your mouth when you take a bite? Gahhh, must resist. 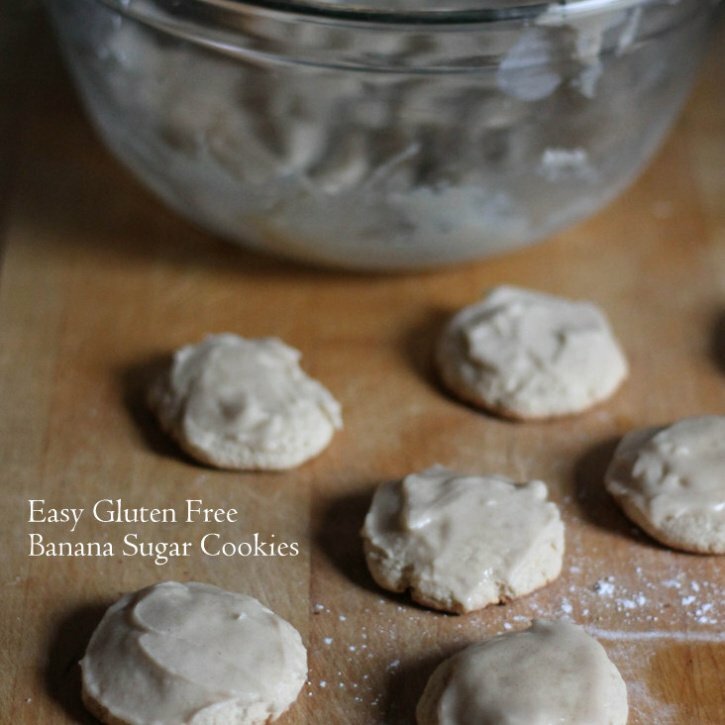 Since I have a few friends and family members who are gluten free, I started thinking about what kind of cookies they’d be enjoying this holiday season. I feel like there aren’t too many festive recipes out there and that’s a real bummer. 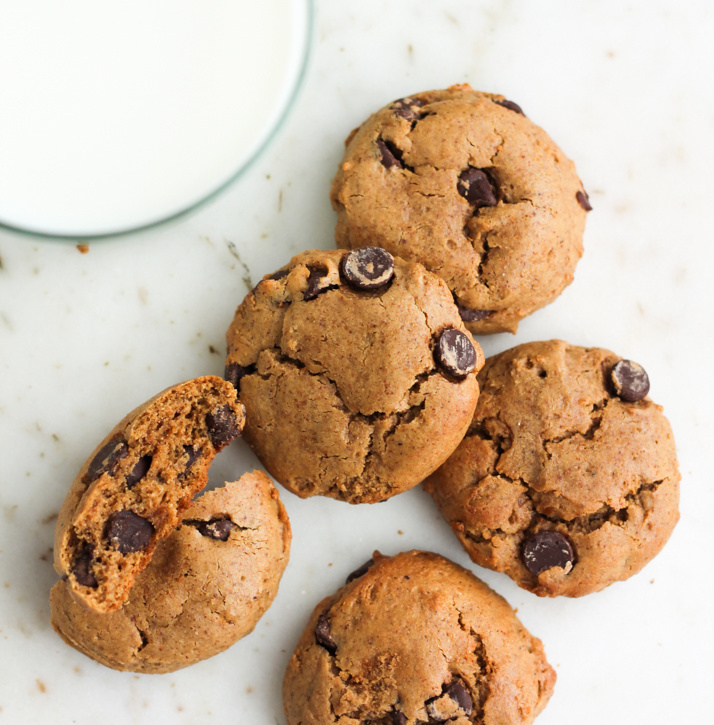 I know many of my readers are gluten free or love to bake for their GF family/friends, so I thought I’d introduce a gluten free product that I’m loving.